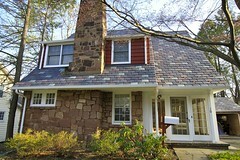 Brick Roof Repair is extremely important for all homeowners! 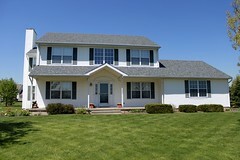 A strong, well maintained roof leads to a strong healthy house. 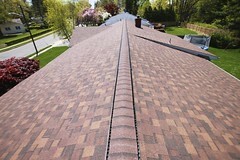 Overtime, your roof can take a real beating by the natural elements. Heavy storms, ice, wind and scorching heat will result in your roof needing repair work. While roof repair can be expensive, it eventually becomes necessary. However, in the mean time, there are some precautions you can take to maintain the health of your roof. Another great way to maintain your roof is to clean off sticks, leaves and other debris. Everybody has experienced debris quickly building up in gutters. 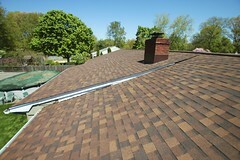 Cleaning this debris on a regular basis is imperative for the health of your roof. Letting the gutters remain dirty for an extended period of time can result in unseen damages to your roof. If you keep your gutters clean and free of debris, it will keep your roof healthy and in good condition. Even if you follow this advice to maintain your roof, you will inevitably require Brick roof repair at some point in the future. That’s where Biondo Roofing comes in. Providing outstanding roofing service for over 25 years,Biondo Roofing is a family owned and operated business that is eager to work with new and old customers in the Brick area. Contact us today for more information and a free estimate.